Accuquilt > GO! 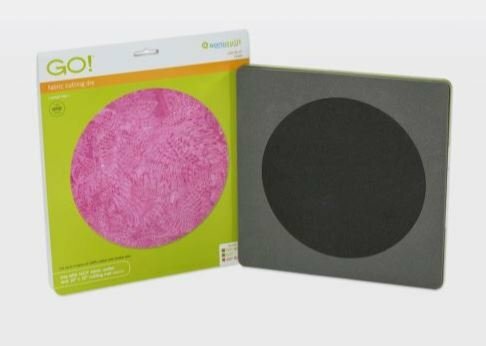 Circle - 8"
Circles are a very popular and versatile quilting shape, but they are also one of the hardest to cut accurately. This die cuts an 8" circle to perfection in just seconds. Use this die to cut circles for popular yo-yo projects, polka dots, raw edge bull's-eye concentric circle quilt designs and more!